Margie's Crafts: Storage by Stampin' Up! 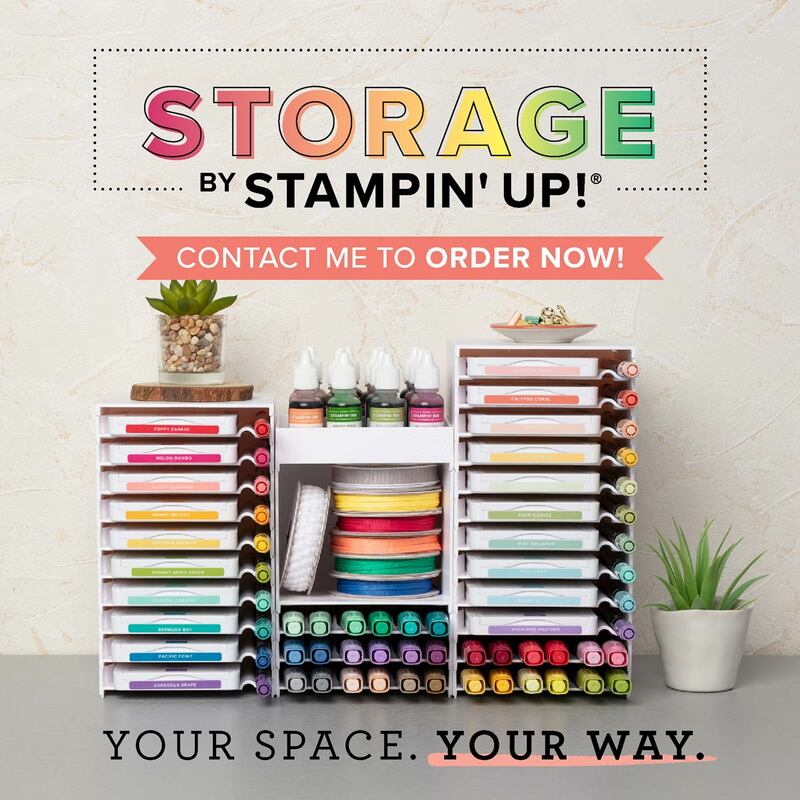 Will there be expansions to the Storage by Stampin’ Up! product line in the future? 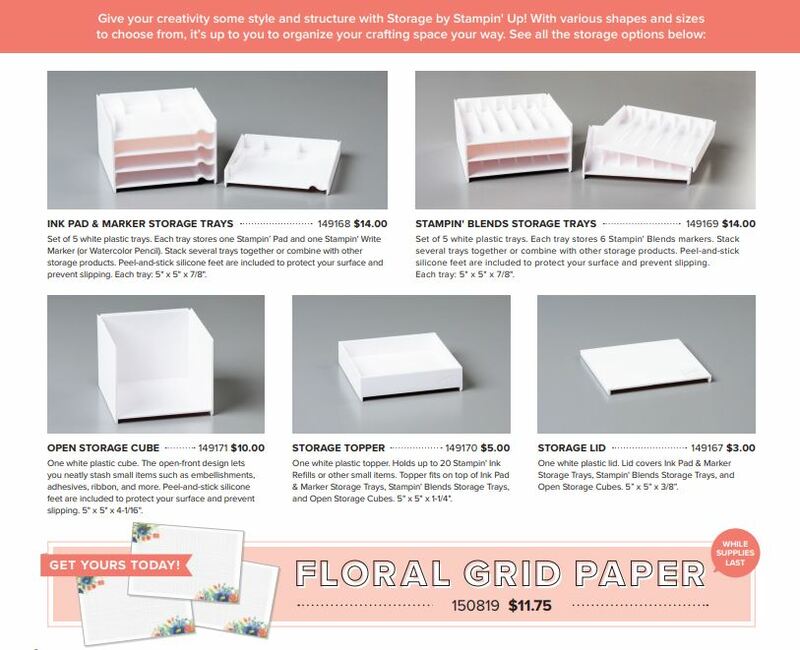 Like all our product offerings, we hope Storage by Stampin’ Up! will be successful and expand. However, at this point in time, we can’t guarantee any additional modular storage products in the future. How do the silicone feet work? To protect your surface and prevent slipping, we’ve included peel-and-stick silicone feet with the Ink Pad & Marker Storage Trays, Stampin’ Blends Storage Trays, and Open Storage Cube. How do I know how many of each unit to order? HERE is a configuration chart that will help you plan for your individual needs.